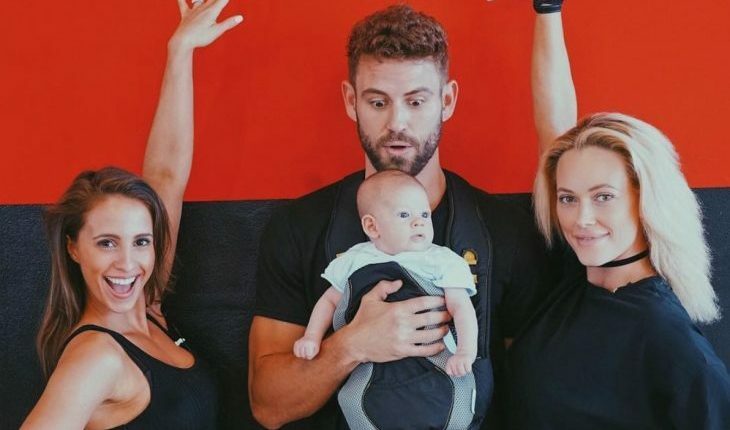 Vanessa Grimaldi, Nick Viall, Peta Murgatroyd, and baby Shai. Photo courtesy of Instagram. The Bachelor star Nick Viall may have moved on to his next reality TV adventure — he’s appearing in season 24 of Dancing with the Stars with pro partner (and new celebrity mom to baby Shai!) Peta Murgatroyd — but that doesn’t mean fans have forgotten about his awkward After the Rose interview with fiancée Vanessa Grimaldi. According to UsMagazine.com, during a recent interview for The Ellen DeGeneres Show, DeGeneres commented, “I didn’t see the After the Rose because I could not commit to four hours of television” and then added, “I heard that some people thought it was awkward, that y’all were awkward together.” Grimaldi jumped in and replied, “I think we both went in it wanting to be honest and open about couples, you know, sometimes things can get tough. But we’re very committed to each other, we love each other, and that’s what we’re focusing on.” The celebrity couple has recently relocated to Los Angeles for Viall’s current gig. There’s no denying that this celebrity couple came across as awkward in this season of The Bachelor’s After the Final Rose. What are some things to keep in mind when introducing your new love to your friends? 1. Keep it casual: There’s already enough pressure on the first meeting of your boyfriend and your loved ones; don’t add to it by planning a fancy dinner or letting your friends interrogate your man with an intense game of 20 questions. Instead, keep it simple with coffee or cocktails and encourage your pals not to grill your beau. They can ask you for all the intimate details afterwards! 2. Be yourself: Don’t let your nerves get the best of you. Remember that everyone at the table is there because of you. Just be yourself! Show your friends why you and your partner are such a good fit, and show your beau why your pals are so special. Related Link: Are ‘Bachelor’ Nation’s Josh Murray & Amanda Stanton a Celebrity Couple Again? 3. Don’t expect too much: Sure, you want your favorite people to all get along, but if they don’t hit it off right away, that’s okay! Introducing them to one another is the first step. As long as your love lasts, they’ll have plenty of time to get to know each other. What’s your best dating advice for introducing your love to your family and friends? Tell us in the comments below!